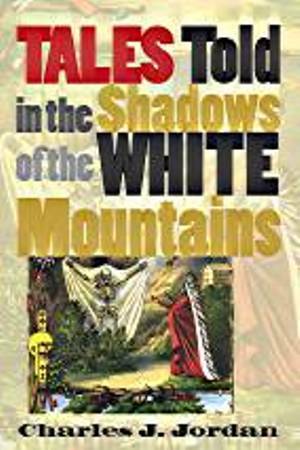 Tales Told in the Shadow of the White Mountains, by Charles J. Jordan, 2003. A collection of real and surreal tales from northern New Hampshire. These fourteen stories range from the weird to the wonderful, and include mountain characters like English Jack, the hermit of Crawford Notch, witches and ghosts of the area, the bleeding Jesus of Berlin, headstone negravings and much more. 188 pp., 6" x 9."